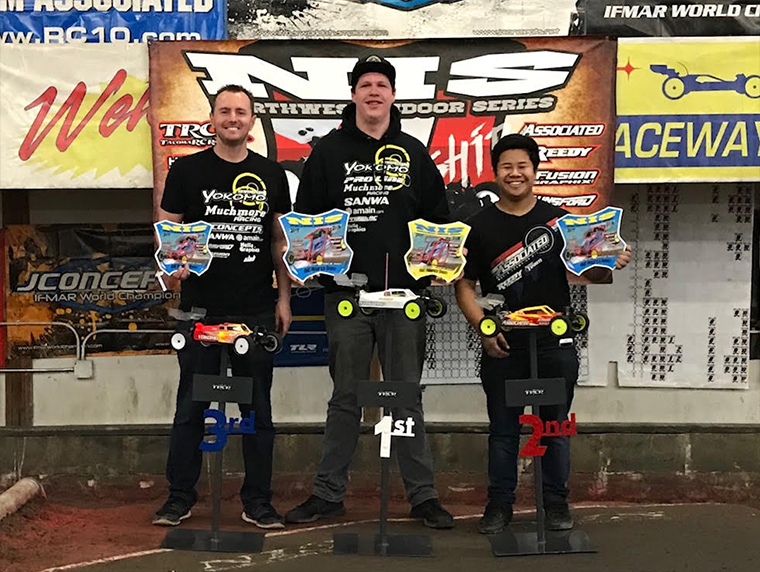 www > Race Report > 2018 NIS Series Finale Race Tanner Day 2WD/4WD Double Win!! 2018 NIS Series Finale Race Tanner Day 2WD/4WD Double Win!! 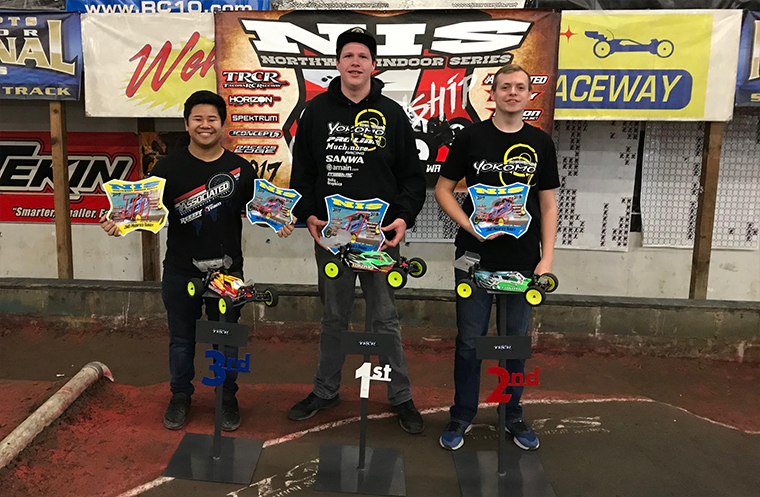 This past weekend I attended the 2018 Northwest Indoor Series finale hosted by Tacoma R/C Raceway in Tacoma, Washington. Anyone that has traveled to TRCR knows just how quick the local talent is here in the Northwest. 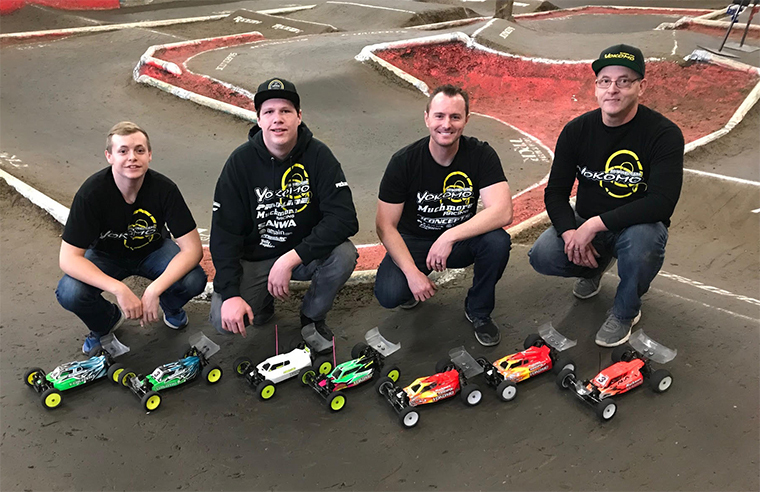 With top drivers such as AE's Harley Yoshii, Yokomo's Tanner Day, AE's Luke Smith, Yokomo's Jackson Andres, Schumacher's Mikey Brown, AE's John Walentia...the competition is always very tough and never disappoints. Once again, the TRCR crew did a great job on the track design that would prove to be very challenging for all drivers. 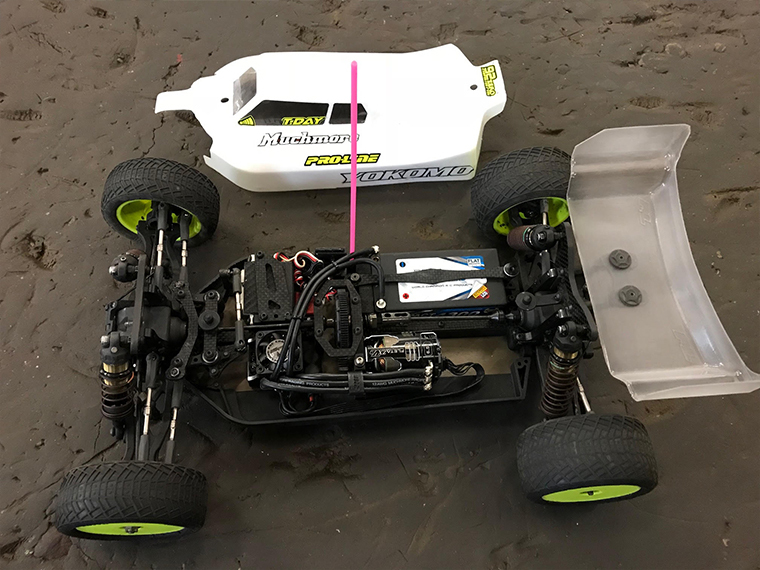 The two most prestigious classes of the series have always been the highly contested 2wd and 4wd Modified Buggy classes. In the 2wd Modified Buggy class, AE's Harley Yoshii took the overall TQ honors after TQ'ing the first 2 rounds of qualifying on Saturday. 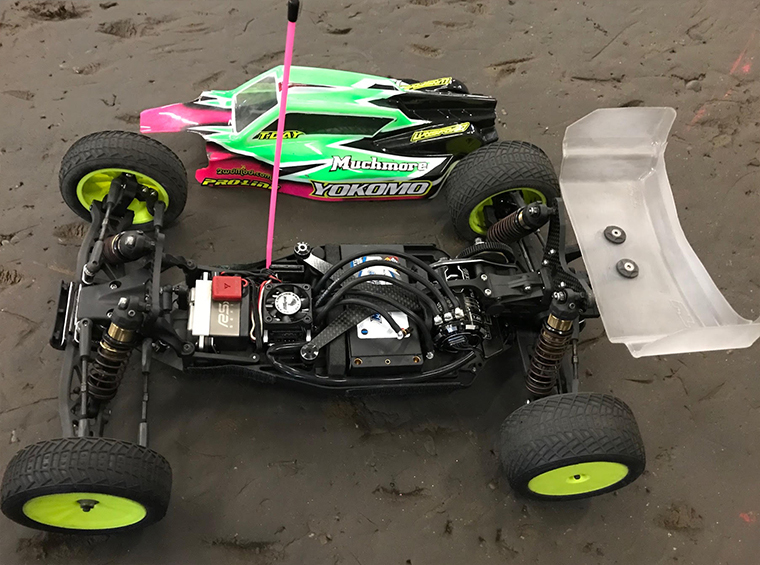 Yokomo's Tanner Day would go onto qualify 2nd overall and Yokomo's Jackson Andres would line up 3rd for the triple A-Mains. Tanner Day would show great speed in A-Main #1 and A-Main #2 by taking the Wins in each to secure the overall Win with his Muchmore powered YZ-2! Jackson Andres then took the Win in A-Main #3 to finish 2nd overall with his Muchmore powered YZ-2! Harley Yoshii would round out the podium in 3rd. Mikey Brown and I would round out the top 5. In the 4wd Modified Buggy class, Yokomo's Tanner Day took the overall TQ by TQ'ing rounds #1 & #2 of qualifying. AE's Harley Yoshii showed great pace and qualified 2nd overall. I would qualify 3rd overall in my first 4wd race in over 5 years. Tanner once again showed his blazing speed by Winning A-Mains #1 & #2 to sweep the weekend with his Muchmore powered YZ-4! Harley Yoshii took the A-Main #3 Win to finish 2nd overall. I was able to finish 3rd overall and land on the podium with my Muchmore powered YZ-4!